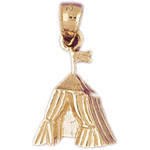 14K Gold Household Charms are the perfect way to cherish your home and all the memories you create in it. 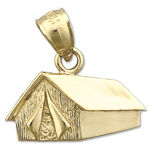 You'll find a stunning and versatile assortment of meticulously crafted gold household charms featuring household items for many of the rooms in the house. 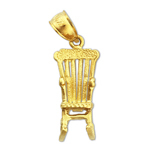 From Cooking and Baking Charms, Beverage Charms and Kitchen Utensil Charms, to Household Cleaning Charms and Home Furnishings Charms you'll be able to create your own personalized Household Charm bracelet to reflect your own unique personal style. 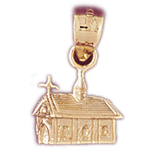 Household Charms make excellent gifts for someone buying or renting their first house, or renovating or remodeling their current house. 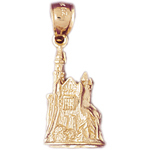 Take a piece of home with your during a move with a Household Charm that reflects memories you've created around the house.